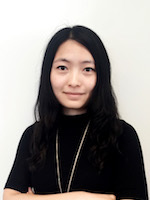 Haidan Hu has worked in journalism and marketing in both the United States and China and she currently leads outreach efforts in the Chinese-speaking market and provides support to our Chinese-speaking clients. While working in the Market Strategy team at East West Bank, she oversaw Eastern Region’s public relations and media relations. Ms. Hu also assisted with providing Cross-Border (U.S.-Greater China) services. Prior to that, she worked as a multimedia reporter at China Daily USA, her beats included education and U.S. – China relations. She covered major international events, including Chinese leaders’ state visits and the annual UN General Assembly. Ms. Hu also led the development of social media content and managed social media campaigns at China Daily USA. Ms. Hu holds two master’s degrees. One in Journalism from E.W. Scripps School of Journalism, Ohio University, where she was awarded a full scholarship and research assistantship. The other in International Corporate Media from Marietta College. Ms. Hu earned her B.A. in Advertising and Marketing Communication from The University of Bedfordshire in the UK.